Reid thinks it would be a tragedy if the debate over immigration addressed how potential terrorists enter the United States? Isn’t the purpose of an immigration bill to regulate and restrict who enters this country? Shouldn’t it be a given that terrorists are to be kept out of the U.S.? On one level, Reid’s statement might be seen as a gaffe or misstatement. Politicians make them occasionally. But in light of the Fort Dix case, his statement must be seen as far worse. It should be viewed as designed to ignore a problem that continues to pose a mortal danger to every American. That’s why the Senate’s amnesty legislation has to be derailed before politicians make a bad situation even worse. Nevertheless, Reid got away with this shocking statement because the media, like the Democrats, President Bush and some Republicans, have a blind spot on how America’s immigration policy has facilitated the entry into the U.S. of people who want to kill us. We should recall the facts about the so-called “Fort Dix Six.” They included Mohamad Ibrahim Shnewer, 22, from Jordan; Eljvir Duka, 23, Dritan Duka, 28, and Shain Duka, 26, all from the former Yugoslavia and ethnic Albanians; Serder Tatar, 23, from Turkey; and Argon Abdullahu, 24, from the former Yugoslavia and an ethnic Albanian. Abdullahu is charged with helping the Dukas illegally obtain firearms. Only Shnewer was a U.S. citizen, Tatar and Abdullahu were described by the Post as being “legal residents,” and the three Duka brothers were all residing in the U.S. illegally. The Star Ledger reported on May 10, 2007, that “The Duka family entered the United States illegally through Mexico in October 1984,” including the three brothers’ mother and father, Zurata and Ferik Duka. Senator Reid’s statement about separating the immigration debate from terrorism represents a break with reality. Why isn’t he held accountable by our media for this blindness? It should not have come down to the terrorists’ stupidity that led them to be caught. The fact is that the Duka brothers would never have had the opportunity to train in the Pocono Mountains in Pennsylvania, or film their training, if it were not for a broken U.S. immigration system. And all this only six years after 9/11, when terrorist attacks carried out by foreign nationals, here both legally and illegally, killed nearly 3,000 Americans. 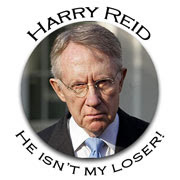 The 1993 World Trade Center bombings and September 11thshould have prompted an immediate overhaul of our badly broken immigration system, but Reid doesn’t want the terrorist threat to get in the way of allowing millions of illegal aliens to stay in the U.S. and making a large number of them U.S. citizens and Democratic Party constituents. Short-term political gain trumps keeping America safe. In the Fort Dix case, American soldiers and civilians were needlessly put in danger and almost killed because our government refuses to enforce our immigration laws. Hundreds could have been killed and/or wounded, and the blame would have fallen onPresident Bush, both political parties and both Houses of Congress. Our immigration system is broken, but so is our government. We have a federal system of government unable or unwilling to protect and defend our borders. While the Dukas had evaded immigration authorities for 23 years, they had not avoided the New Jersey police. They had been stopped dozens of times a year for speeding, illegal passing and driving without a license. In addition, on May 10, the WashingtonPost reported that Dritan Duka pleaded guilty in 2000 to possession of drug paraphernalia and Shain Duka to possession of marijuana. The incompetent enforcement of our immigration laws at the federal level is also evident at the local level. Meanwhile, the American people remain vulnerable to attack. Illegal aliens, including potential terrorists, seem to break laws at will, confident they will never be caught, or if they are, never deported. In this case, it was a clerk at Circuit City that prevented what would have been a massive attack on a U.S. military base on U.S. soil. Thankfully, an individual with a conscience saved the day. Our government at many levels failed us. But now the federal government wants to give amnesty to even more illegal aliens on American soil who may be potential terrorists. The fact that illegal aliens were planning a deadly attack on American soldiers and on U.S. soil at a military base is lost on supporters for amnesty for illegals. ABC News reported that Democrats, for instance, “reject the argument” that the Duka brothers or Abdullahu prove anything. Sadly, this is an old story of the government providing amnesty to illegal aliens and ignoring the consequences. Our government never learns, essentially guaranteeing another terrorist attack. The bottom line is that illegal alien amnesty bills help terrorists kill Americans. Nevertheless, Senator Reid, with White House support, wants to push a similar amnestybill. The new bill includes all the same enforcement provisions that were included in the 1986 bill but never carried out. The only difference between then and now is there are now more illegal aliens in this country. There were less than 3 million illegal aliens in the U.S. in 1986. But, depending on estimates, there are now between 12 and 20 million illegal aliens in the U.S. So here’s the question: if five terrorists used the 1986 Amnesty bill in attempts to establish residency, what happens now that there might be ten times as many illegal immigrants in this country? Could there be 20 terrorists illegally living in the U.S. right now who could be granted amnesty by a new “comprehensive immigration reform” bill? Could there be 50? 100? Or More? Voting in favor of an amnesty bill under these circumstances is tantamount to turning a blind eye to terrorists on American soil plotting to kill Americans. Why do we tolerate the spectacle of our government officials putting our lives at risk? Let’s build the fence and identify and isolate the illegal aliens. Then, at the very least, let’s immediately deport those with terrorist ties before they try to kill us again. This is the only “immigration reform” that makes any sense. Why can’t Bush, Democrats and Republicans agree on that? Why do they insist on putting us all in danger? And why won’t the media do their jobs and insist on a solution that will protect America from another terrorist attack? The time for taboos is over. We have to talk about the way in which immigration will change the United States and the world. In particular, much of the world has never understood why the United States gives such warm support to besieged democracies — like Israel, Taiwan, Poland during the Cold War, a near-dead Britain during the Nazi Blitz, the Free French, and many other democracies under assault. Today Europeans pretend not to understand why we overthrew the Nazi-clone Saddam Hussein — even though they continue to benefit from our actions against the Nazis and Soviets, every single minute of their self-indulgent lives. Yet millions of Muslims are eager to move to the United States, in good part to make America more like the societies they are leaving. The crucial question is: Will immigrants become Americans? Or will they turn this country into Europe or the Third World? Because that is their clearly stated intention — ranging from Mexican Azatlan nationalists, to Muslims, and to European socialists. They have all been taught that America is evil, but they still want to come here to make us enlightened — by their standards. Liberal legislation is designed to do exactly that. Steven A. Camarota is the director of research at the Center for Immigration Studies. His 2003 essay, The Muslim Wave: Dealing with Immigration from the Middle East is required reading in the crucial time of debate on the Senate immigration bill. This is four years later, and we need to think and act clearly about the coming decades for America. But we have not succeeded in regulating immigration in any sensible fashion. Current legislation may triple legal immigration. The Senate bill proponents are now trying to silence and twist rational opposition. Please let it remain that. I seem to be raiding my email archives for some articles I’ve saved. Many of the emails have the standard “Pass This On” deal at the end, and I rarely did. I will do so here, in my own space. This is another such article. All emphasis mine and my comments are in blue (haven’t checked this through Snopes and I really don’t care–it states my views exactly). So many letter writers have based their arguments on how this land is made up of immigrants. Ernie Lujan for one, suggests we should tear down the Statue of Liberty because the people now in question aren’t being treated the same as those who passed through Ellis Island and other ports of entry. Well, maybe because those that came through Ellis Island did it LEGALLY! Maybe we should turn to our history books and point out to people like Mr. Lujan why today’s American is not willing to accept this new kind of immigrant any longer. Back in 1900, when there was a rush from all areas of Europe to come to the United States, people had to get off a ship and stand in a long line in New York and be documented. Some would even get down on their hands and knees and kiss the ground. They made a pledge to uphold the laws and support their new country in good and bad times. They made learning English a primary rule in their new American households and some even changed their names to blend in with their new home. They had waved goodbye to their birth place to give their children a new life and did everything in their power to help their children assimilate into one culture. Nothing was handed to them. No free lunches, no welfare, no labor laws to protect them. All they had were the skills and craftsmanship they had brought with them to trade for a future of prosperity. Most of their children came of age when World War II broke out. My father fought along side men whose parents had come straight over from Germany, Italy, France and Japan. None of these 1st generation Americans ever gave any thought about what country their parents had come from. They were Americans fighting Hitler, Mussolini and the Emperor of Japan. They were defending the United States of America as one people. When we liberated France, no one in those villages were looking for the French-American or the German American or the Irish American. The people of France saw only Americans. And we carried one flag that represented one country. Not one of those immigrant sons would have thought about picking up another country’s flag and waving it to represent who they were. It would have been a disgrace to their parents who had sacrificed so much to be here. These immigrants truly knew what it meant to be an American. They stirred the melting pot into one red, white and blue bowl. And here we are in 2006 with a new kind of immigrant who wants the same rights and privileges. Only they want to achieve it by playing with a different set of rules, one that includes the entitlement card and a guarantee of being faithful to their mother country. I’m sorry, that’s not what being an American is all about. I believe that the immigrants who landed on Ellis Island in the early 1900s deserve better than that for all the toil, hard work and sacrifice in raising future generations to create a land that has become a beacon for those legally searching for a better life. I think they would be appalled that they are being used as an example by those waving foreign country flags. And for that suggestion about taking down the Statue of Liberty? She happens to mean a lot to the citizens who are voting on the immigration bill. I wouldn’t start talking about dismantling the United States just yet. P. S. Pass this on to everyone you know!!! KEEP THIS LETTER MOVING! !I hope this letter gets read by millions of people all across the nation. GET IT PEOPLE? ONE COUNTRY, ONE FLAG, ONE LANGUAGE–AMERICA, ONE NATION UNDER GOD…LOVE IT OR GET THE HELL OUT. Isn’t it nice how the Ft. Dix Six think they’re the newest “outlaw heroes” in America? From the ABC News Blotter, it appears these cretins are busy posing for the cameras, smiling, waving, generally having a fine time (while no doubt planning how to spend the money from future book and movie deals). These men are disgusting–they are a true testament to the dangers in this country, here and now, they illustrate the facetiousness of the defeatocrats by demonstrating (ever notice how the beginning of that word is “demon”?) there is no talking to a jihadist enemy AND they very ably illustrate the porousness of our borders. And yet, they found some scumbags to defend them. Wonder what the full liberal spin is going to be on this story? The six need to be shot at dawn. The six men accused in alleged plot to kill US soldiers at Fort Dix, New Jersey smiled and waved at family members today as they appeared before a federal magistrate in Camden, New Jersey. Appearing as if he didn’t have a care in the world, Shain Duka gave an enthusiastic greeting to members of his family, many of whom had been quietly sobbing as the magistrate, Joel Schneider, ordered him held without bail. Duka and his two brothers are illegal aliens, according to the government. Only one of the defendants, Mohamad Shnewer, asked to be released on bail. His lawyer, Rocco Ciperone, said Schnewer’s family had raised $600,000 to post bail. The magistrate refused to grant bail after government prosecutors said he presented “a danger” to the community, citing the criminal complaint which detailed his alleged involvement in the plot to kill soldiers. The men, in green jumpsuits and leg irons, appeared one by one in front of the magistrate under heavy security.